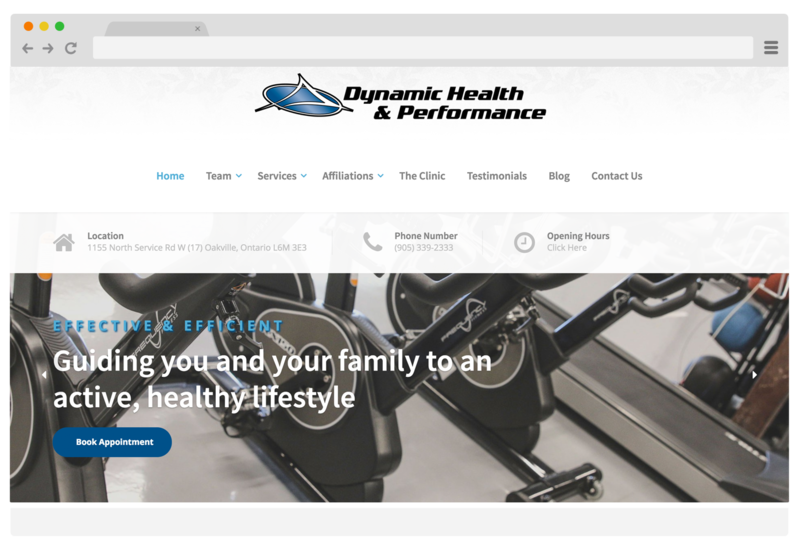 DHP is an Oakville-based sports chiropractic clinic that had an outdated and cluttered web presence in need of a refresh. We built a WordPress site that nicely presented their wide spectrum of services in detail. In addition, we arranged their extensive sections and external login into an organized, responsive header. Site includes gallery, contact forms, blog, and email collection. Bring Your Next Project To Life.